So glad I didn't pay full price. The blue faded onto the white when washed. And when in the dryer had to empty lint filter three times. Would not recommend. 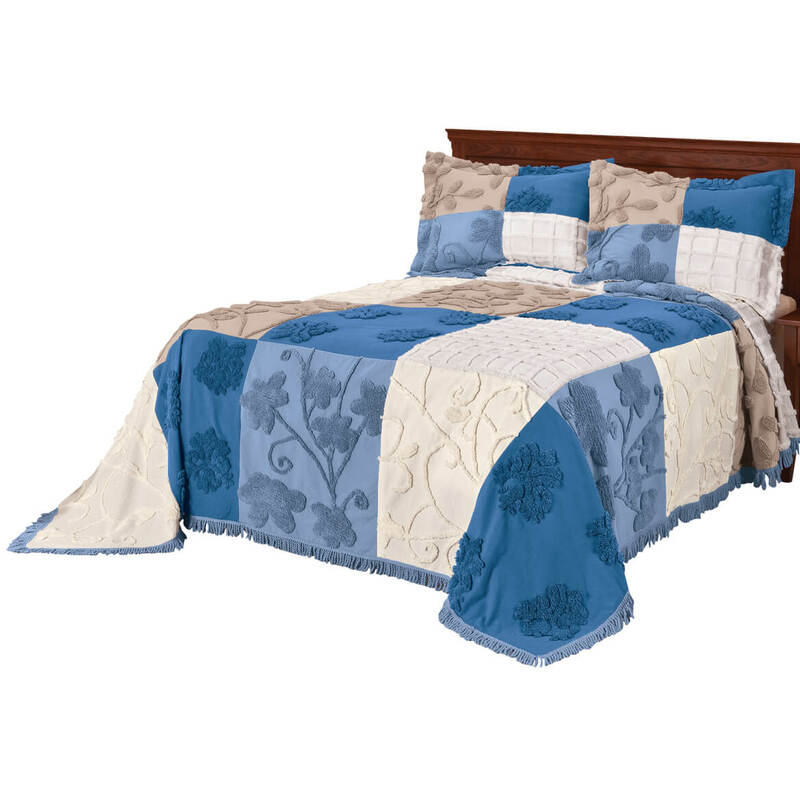 The colors are very unique for a chenille bedspread. I really like the style . Because it is a bedspread not a comforter. A nice color and good fit. Warm but cool as well. My bedroom is decorated in blues, tans, creams, and a sprinkling of forest greens. 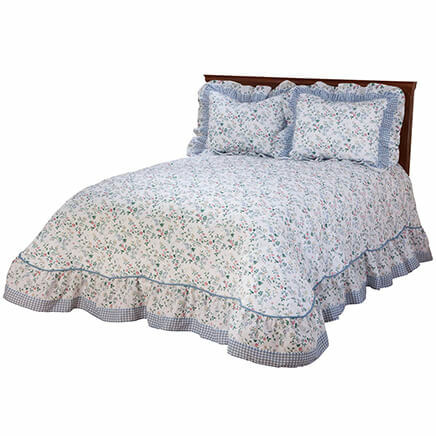 We have a base-adjustable split king bed and because it's hard to apply dust ruffles (it requires two twins & wedging them down in between the bolted beds), we prefer bedspreads to quilts/comforters. The coloring (Blue) in this Chenille Spread is gorgeous; its drop is perfect; its length allows for pillow covering at the head; and, it doesn't shed & washes up nicely. VERY GOOD buy! 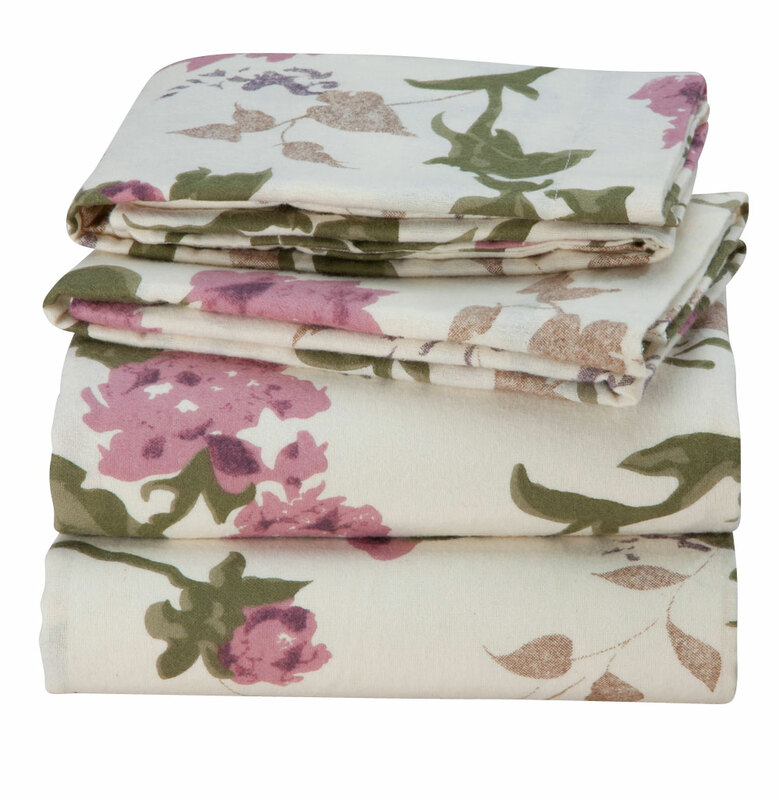 This print is a eye catcher yet soft look that will add some beauty to the room. BEST ANSWER: The Patchwork Chenille Bedspread falls/drapes on a King exactly as represented in the photo. I have it on a Split King (2 XL Twins connected) and it's just a tiny bit (maybe 3 inches) short of the fringe touching the floor on the side of the bed that is away from everyone's view (so, I am the only one that can see the shortage). 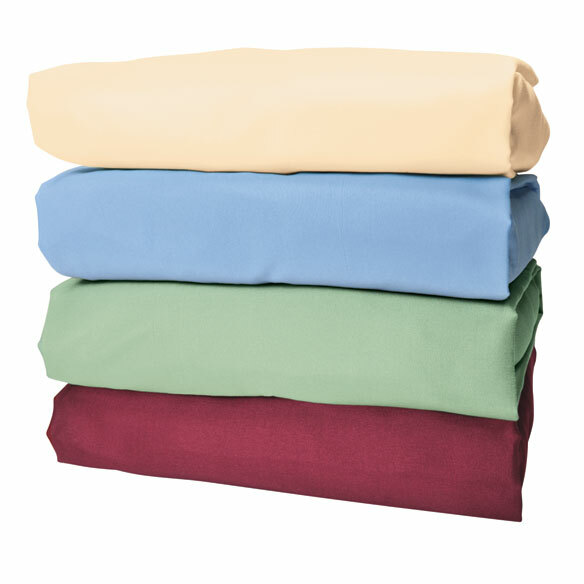 There is more than enough length at the head/top of the spread to enclose a row of bed pillows. It is a BEE-YOO-TEE-FULL spread! And it "wears" well...no piling of the knap...and the colors are even brighter than pictured. It hasn't been washed yet as I needed an immediate fix for the bed...once I do have an opportunity to do so, I'll update this commentary with the results. The pricing is reasonable...quality/thickness is great. 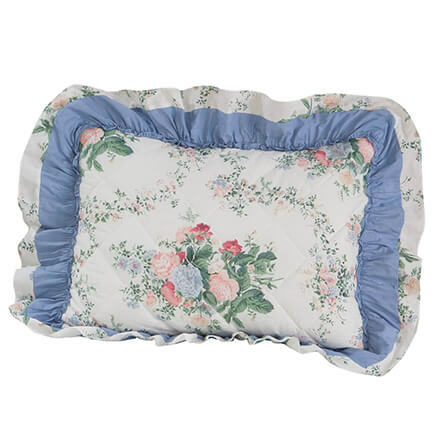 It should do very well on a non-split regular or Cali King bed. I hope this helps...I'm away from the bed as I write this and am therefore unable to give measurements. Enjoy!! could you please tell me if the light color in this bedspread is an ivory, cream or white? can you answer me please? BEST ANSWER: Thank you for your question. The color is ivory/ off white in color. We hope this information will be of help to you. Do shams come with the comforter? BEST ANSWER: Thank you for your question. 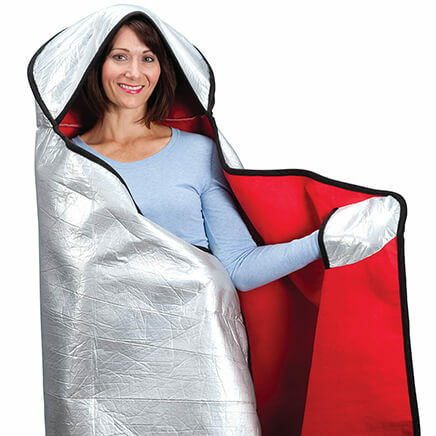 The shams are sold separately. Item number is 353598. We hope this information will be of help to you. Will you be getting more green in King or Queen size? BEST ANSWER: Thank you for your question. Yes, they are expected in stock at the end of September. We hope this information will be of help to you. is the light color on the bed spread white or an ivory color? BEST ANSWER: Thank you for your question. The color is ivory, or off white. We hope this information will be of help to you. dimensions of each size please ? and do dimension include fringe ? BEST ANSWER: Thank you for your question. We have listed all dimensions below. This includes fringe.We hope this information will be of help to you. How bright is the blue color? It looks pretty bright and I am looking for more of a country blue.